Today we celebrated Hari Raya Haji in Malaysia, a religious festival celebrated by Muslims all over the world, and better known as Eid ul-Adha. On this day, Prophet Abraham proved his love and devotion to Allah by showing his willingness to kill his beloved son if Allah wished it. In the end Abraham did not have to kill his son as Allah gave him a ram to sacrifice instead. Eid ul-Adha also coincides with the Haj, a pilgrimage to the Muslim Holy Lands that is compulsory for every Muslim that is able to afford it. 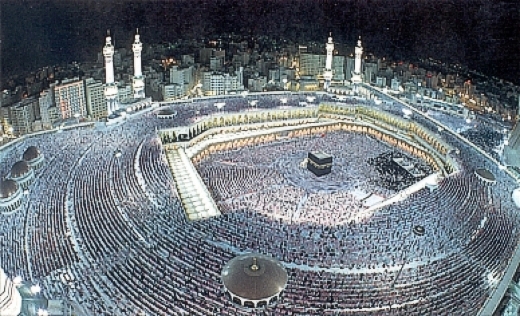 The Haj starts at Mecca on th 8th day of Dzul Hijjah the 12th month in the Muslim calender. 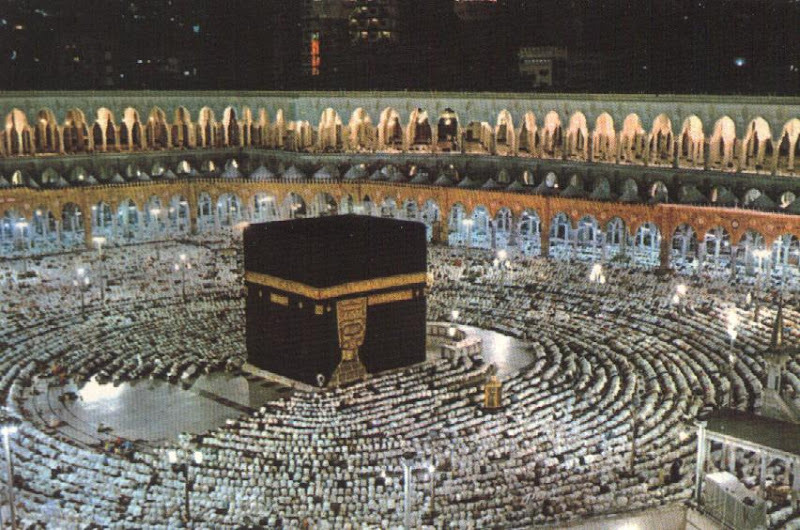 They perform their first Tawaf, which involves all of the pilgrims entering The Sacred Mosque Masjid al Haram, and walking seven times in a counter-clockwise direction around the Kaaba. After the first Tawaf, the pilgrims perform sa`i, running or walking seven times back and forth between the hills of Safa and Marwah. This is a re-enactment of Abraham's wife, Hajar, frantic search for water for her son, before the Zamzam Well was revealed to her by an angel sent by God. As part of this ritual, the pilgrims also drink water from the Zamzam Well. The pilgrims then return to their encampment in Mina. The next day pilgrims proceed to the plains of Arafat and stay out in the open contemplating Allah. A the end of the day, they travel to Muzdalifa for the night. There they gather small stones for the next day. In the morning of the 10th day, they return to Mina and throw the stones at pillars which represent the devil. Then a sacrifice is made in which an animal is slaughtered and the meat distributed among the poor. After this, men's heads are shaved and women cut a lock of their hair. This is the day of Eid ul-Adha. 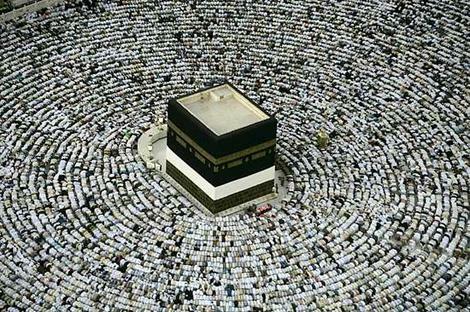 They next return to Mecca and make another Tawaf. Then it's back to Mina where pilgrims must again stone all three pillars in Mina for two or three days. Finally they do the last Tawaf in Masjid-al Haram before leaving Mecca. Many continue to the Prophet's Mosque in Medina where the tomb of Prophet Muhammad is located, but this is not obligatory. That is neat. I have never seen this before. Svet and I both really studied these pictures. That is a lot of humanity in one area. Thank you for the good information. It is strange how the world has such variety in religious cultures and practices. Thanks Kyle for your comments. I'm an architect, but in my opinion, people are always more interesting than the buildings. JAZAKALLAH very good post. I like and love to read your post as it has too clear and big pictures that is most favorite of mine. In Ramadan saying prayers, learn Quran and doing all worship to please ALLAH after that celebrating eid will give us pleasure and happiness. Ma Shaa Allah...very good post. I like and love to read your post as it has too clear and big pictures that is most favorite of mine. In Ramadan saying prayers, learn Quran and doing all worship to please ALLAH after that celebrating eid will give us pleasure and happiness.